I didn’t realize it was near the Mid Autumn Festival, which falls on the first full moon night in the fall. 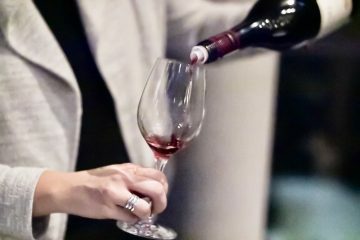 For Chinese folks, it is their own Thanksgiving for celebrating harvest and family gathering. 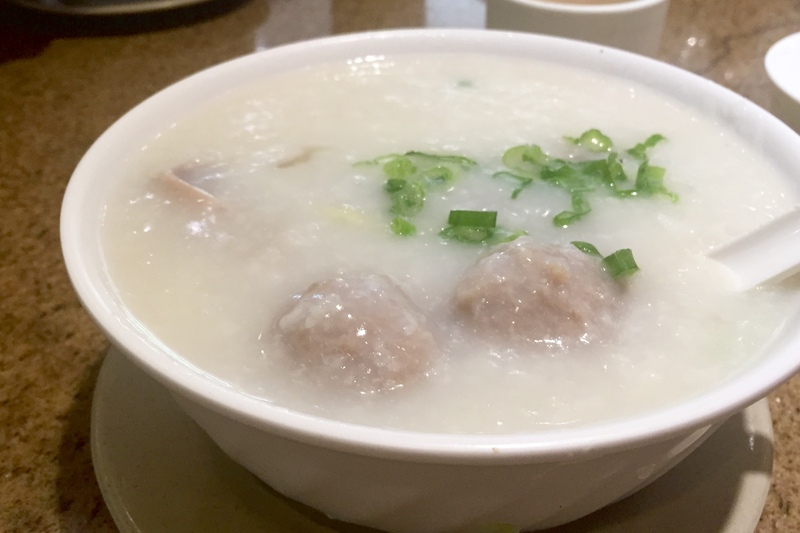 I talked to my mom about finding a food Chinese restaurant and have dinner with some of my Chinese friends. As I thought, most of the good Chinese restaurants are fully booked in Richmond. So I thought of Phoenix Garden that we went once. 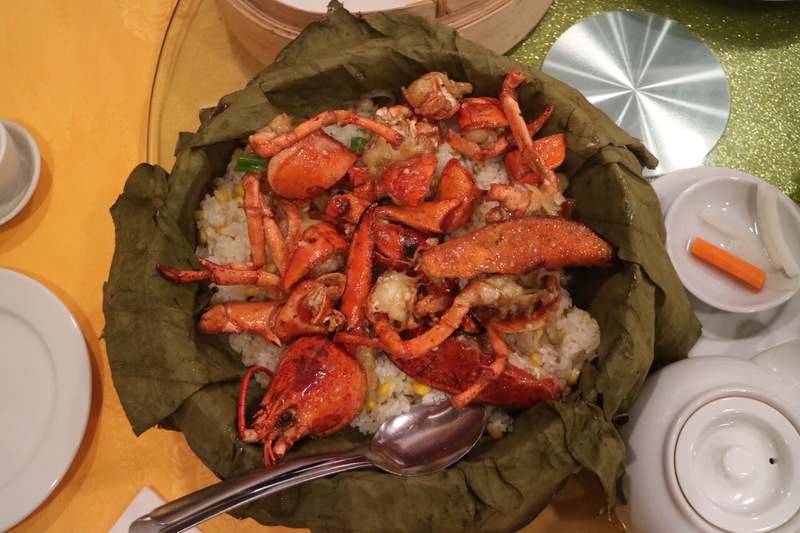 They have both the Peking Duck and the Whole Lobster dish that we like. Struggling with traffic for more than 1 hour, I wondered if all the Chinese folks were out in the city for dinner this evening. My friend Lou arrived much earlier and he phoned me while I was still in traffic. I asked him to order both the duck and the lobster. But when I arrived, I realized we cannot have both dishes with the special price. Oh well. 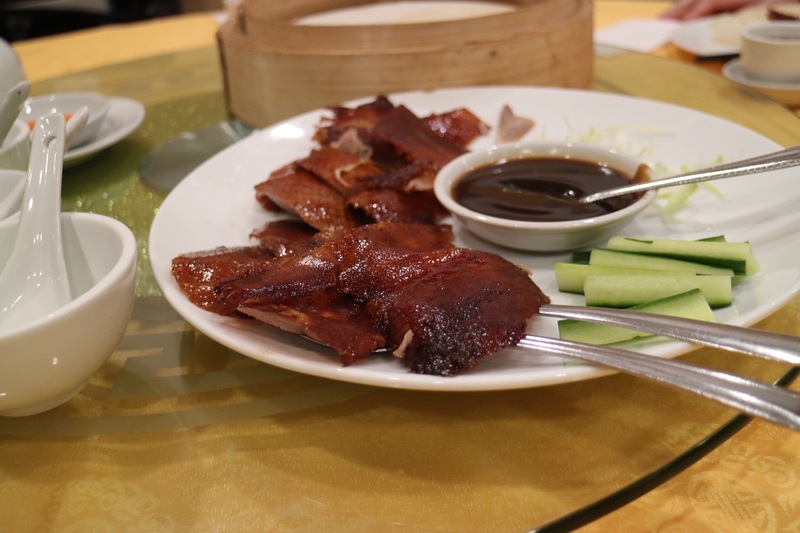 The Whole eking Duck ($39) was nicely roasted with nice crispy skin. So we were off to a good start. 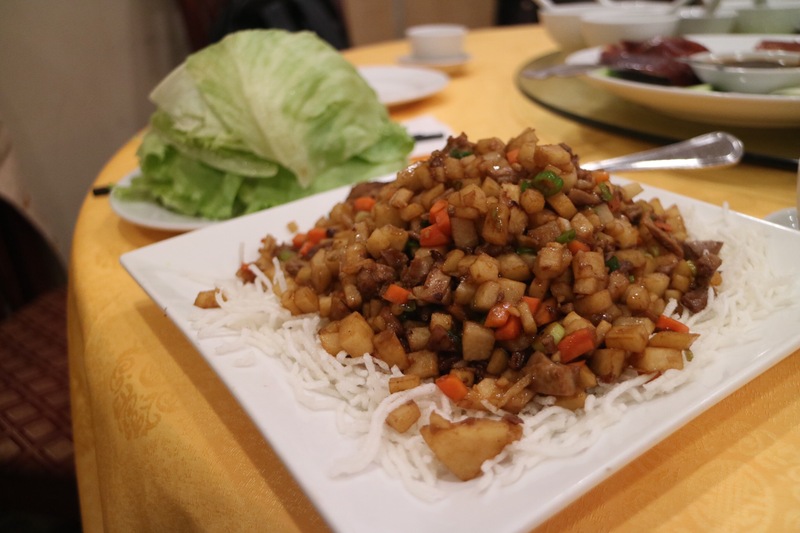 The 2nd course of the Peking Duck was the Lettuce Wrap with Duck Meat. It was pretty greasy and a little bland. It is not a hard dish to execute but something definitely went wrong. 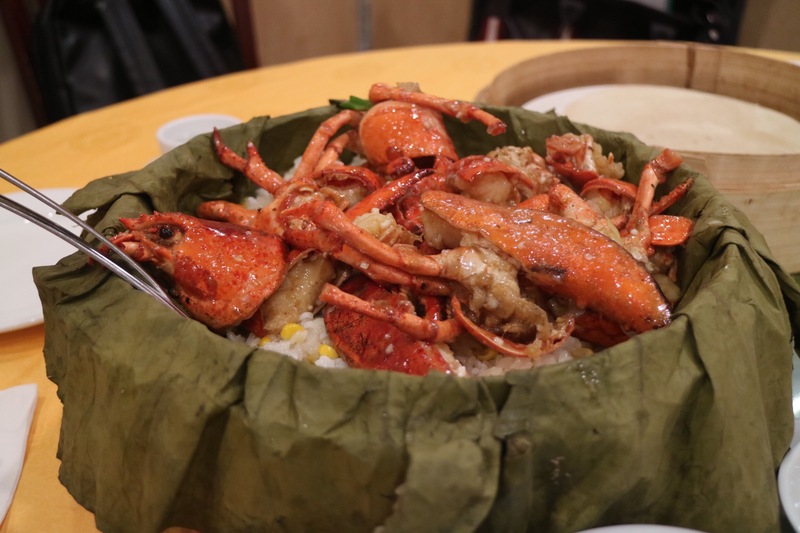 The Whole Lobster ($39 special price) was served on a bed of sticky rice and wrapped in lotus leaf. But the lobster was very small and had barely any meat on it. And the rice was bland didn’t’ have any of the lotus aromas that we were expecting. It was very disappointing. 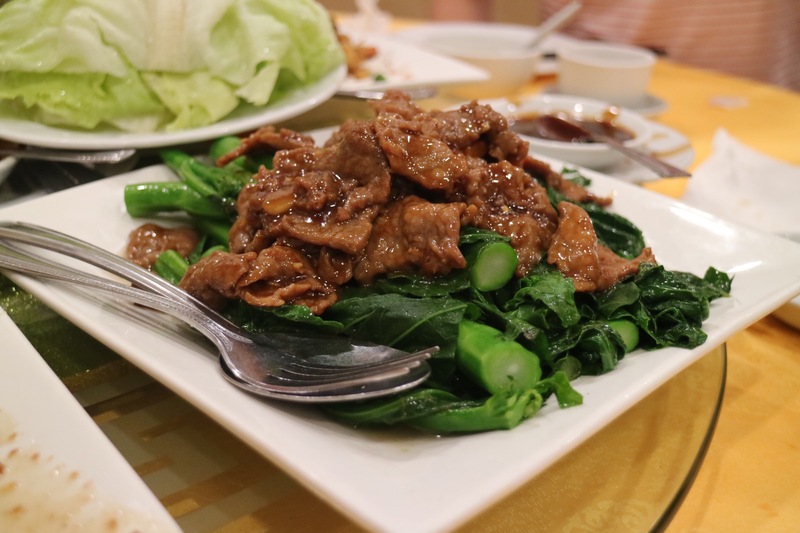 The dish Lou ordered was the Beef and Gai Lan ($23.80). It was quite big but the beef is also a little greasy. And it’s quite pricey for what it is. Lou only ordered the duck, the lobster, a soup and the beef dish where to buy diovan hct before the rest of us arrived. There were 5 of us so we wondered if we should order another dish. The server lady suggested the Fried Pork Chops with Cured Plum Sauce ($24.80). 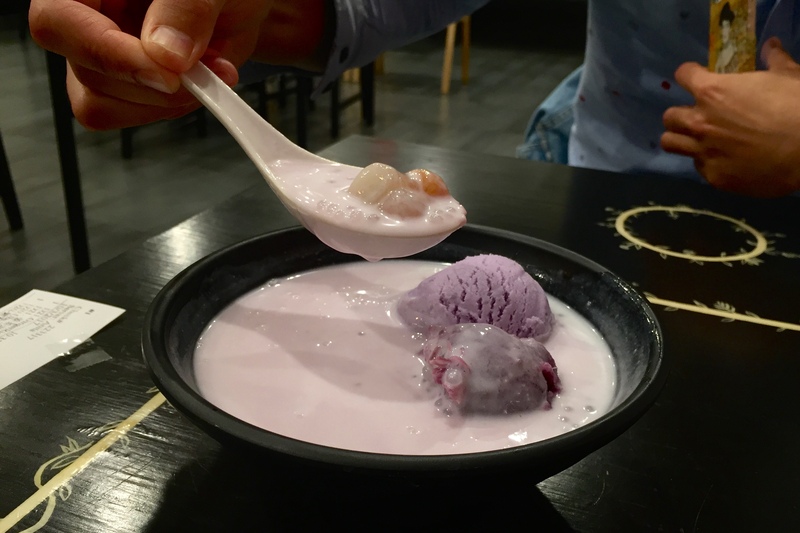 The cured plum is a Cantonese snack that grew up eating, made from fresh plums cured with salt. We had no idea how big the portion size here and we already felt a little full when the pork chops arrived. And we were amazed how big this plate of pork was. But we really didn’t have the appetite to continue eating. I only tried a small piece and it was not bad, but again kind of greasy. 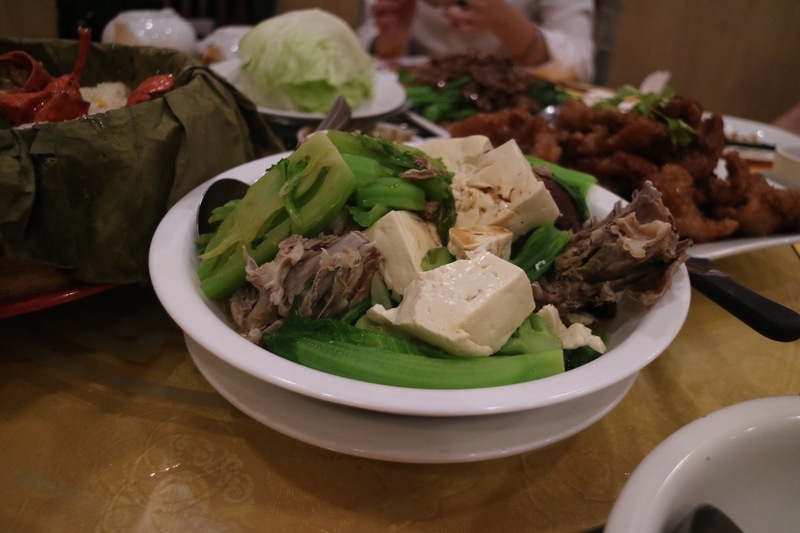 We took the option of using the duck bones from the whole duck to get 3rd course, a large Duck Bone Soup with Tofu and Mustard Greens ($18.80). But we barely touched it as it looked a little unappetizing. Our server lady seemed to be in her late 50’s. Although trying to be attentive, she didn’t seem experienced around the dining room. She even forgot what we asked for a couple times. But I guess it wasn’t such a big deal. 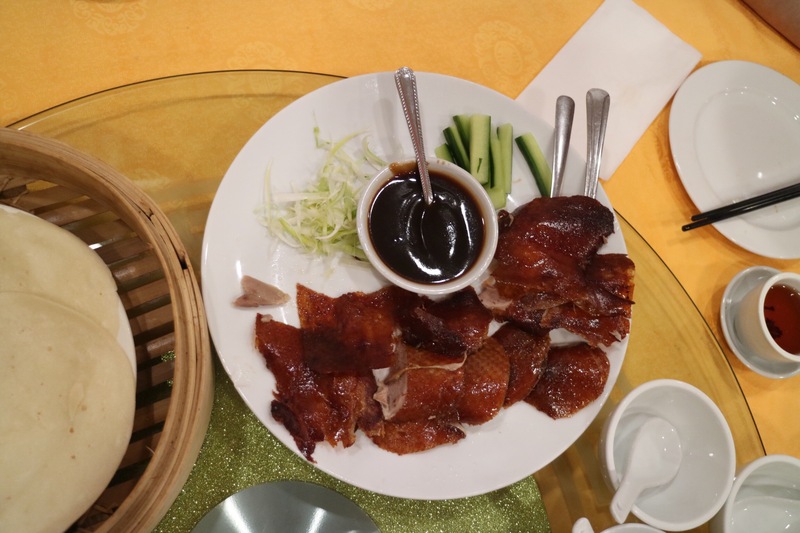 We came to Phoenix Garden for their specials like Peking Duck and whole lobster, but we could only get one special at a time. The lobster was small and poorly cooked, very disappointing for such a forgiving dish. We had to pay the regular price for the Peking Duck. The duck skin was nice and crispy but the stir-fried duck for the lettuce wrap was greasy. Actually, the rest of the dishes we received were quite greasy as well. It’s too bad that their food has gone downhill. 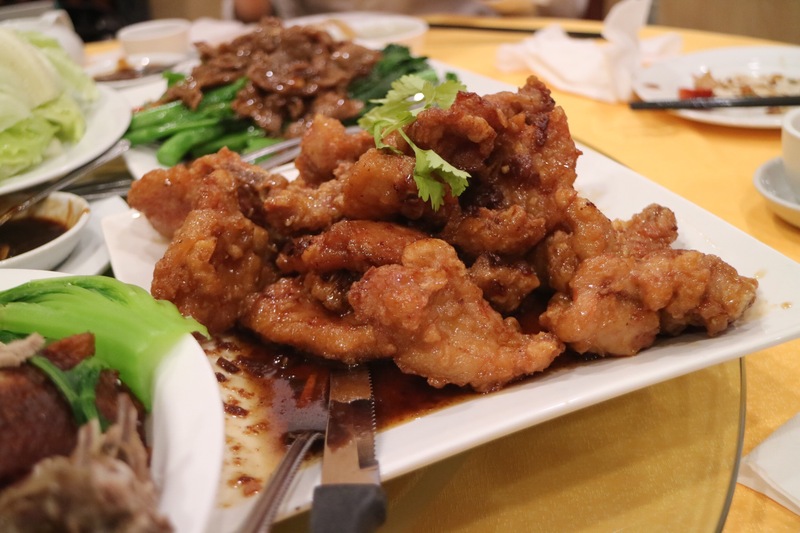 Although the portion size is big here, we spend $180 among 5 of us, and for the same price, I rather stay in Richmond for food with better quality.